This is not your average 'I (heart) design! 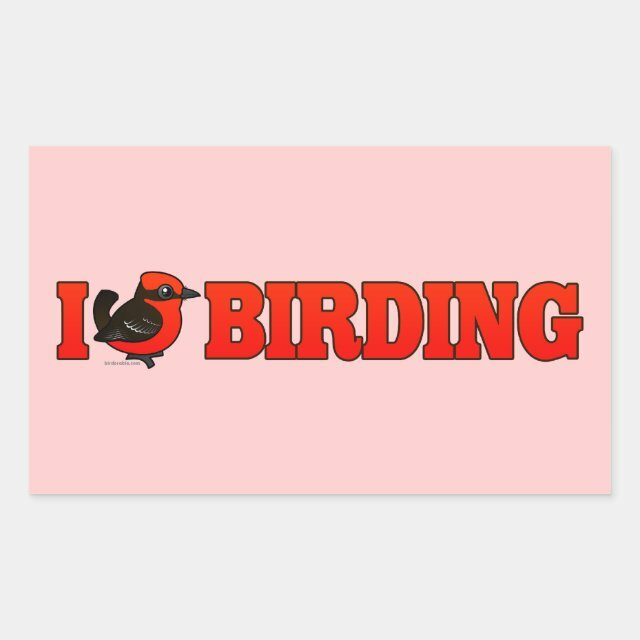 I Love Birding with a twist - instead of a heart, there is a beautiful male Vermilion Flycatcher, in totally cute Birdorable form! A great design for birders! You can totally customize this gift! Move the design around, change the background color or style, add your own text or images -- make it your own!